The Association of Old Crows (AOC), and the Georgia Tech Research Institute (GTRI) look forward to hosting International and U.S. attendees at the GTRI Conference Center in Atlanta, Georgia. The AOC/GTRI sponsored symposium will focus on “Interoperability, Electronic Warfare (EW), and Foreign Military Sales (FMS).” Our goal is to host a world-class event that will serve as a platform for information exchange and education on defense technology interoperability (EW, Communications, Datalinks, Command and Control (C2), and Navigation) and associated U.S. FMS and Export Control policies and processes. Sponsorship Opportunities are Available! Click here for more information. ... and MORE great speakers! View all event speakers here. Less than 5 weeks to go to one of the largest EW events of the year! The event is free-to-attend for military and government representatives. In addition to delivering a thought-provoking conference with contributions from world-leading sector experts, the event will feature an extended exhibition of more than 80 organisations. Each will be showcasing their latest technologies and solutions advancing the Electronic Warfare / Electromagnetic Operations sector. A complete agenda for the event can be found here! 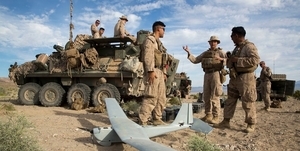 On April 11, AOC Advocacy’s SIGINT Industry Partnership Project (IPP) will hold its first USMC SIGINT Day, featuring a congressional panel discussion entitled “Winning the EMS: Assessing the Future of USMC SIGINT,” from 8:30-10:00 AM in 2168 Rayburn House Office Building. Congressman Paul Cook (Col., USMC Ret. ), representative of the 8th District of California, is the honorary host. His congressional district includes the Marine Corps Air Ground Combat Center and the Marine Air Ground Task Force Training Command at Twentynine Palms, and he is a member of House Armed Services Committee. The event will bring together senior leaders from the US Marine Corps (USMC) to share perspectives and discuss developments in Information Warfare and the integration of Signals Intelligence (SIGINT), Electronic Warfare (EW), and Cyberspace Operations (CO). At the most basic level, self-interference cancellation replaces arcane solutions like passive RF filters, metal shielding and physical isolation. Unlike filters that merely wall off a range of frequencies, self-interference cancellation directly attacks the interfering signal. Consequently, it can be used to eliminate interference between co-located radios, enable unprecedentedly aggressive frequency reuse, and generally facilitate spectrum sharing by doing away with guard bands and permitting total flexibility in frequency assignments. By virtue of its fundamental nature, self-interference cancellation will have a tremendous impact on the design of future networks. This presentation will discuss the evolution of the technology since its roots at Stanford University, its applications, implementation challenges, and state-of-the-art performance based on dedicated integrated circuits (ICs) that have been developed to enable mass adoption of the technology. Click Here to view the Draft Agenda! This forum provides a venue to for stakeholders, thought-leaders and experts in Electronic Warfare to come together to focus on the technologies the services require to ensure freedom to maneuver through leveraging the Electromagnetic Spectrum and Non-Kinetic Capabilities and discuss issues related to the requirements of EW programs, platforms, and operations. 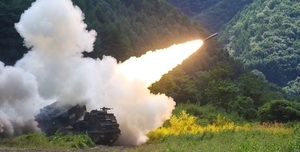 Panel sessions will provide insight into EW Roadmaps for the Services, Integrated Non-Kinetic Fires, and Enabling Future Technologies for EW. 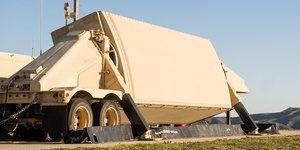 Presenters will highlight capability gaps and motivate the attendees to provide innovative EW concepts and solutions to expand the advantage for our military forces leveraging non-kinetic capabilities. Interested in becoming a sponsor for this event? Click Here for Sponsorship Opportunities! AOC Educational Courses to Help You Advance Your Career! Sponsorship Opportunities Available! Click here for more information on becoming a sponsor. API Technologies combines engineering expertise, innovation and manufacturing excellence to enable mission-critical solutions. Through proven experience and innovation, API delivers reliable solutions for the most rugged environments in the world – and beyond. Our team works to understand each customer’s needs at every level, which leads to long-term partnerships with our customers that transcend transactions and projects, helping to drive ongoing value at all levels of an organization. For the most challenging real-time data digitization, processing, and storage applications, there is a new, higher-performing 6U OpenVPX board – the WILDSTAR 6XB2. RT3 backplane connectors deliver 100Gb per Fat Pipe. The conference classification is SECRET and open to Israeli citizens with appropriate clearance. 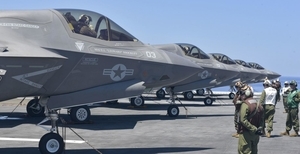 INDUSTRY NEWS: Can the U.S. Marine Corps Use F-35s to Wage Electronic Warfare? April 11, 08:00 - 14:00 EDT, Washington, D.C.